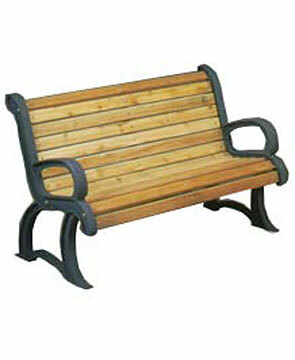 This wooden bench is constructed of 5/16" cast iron with a strong H-beam cross section. The 1" x 2-1/2" planks are available in a Pau Lopé hardwood. The hardware is stainless steel while the wood fasteners have smooth carriage heads for comfort.